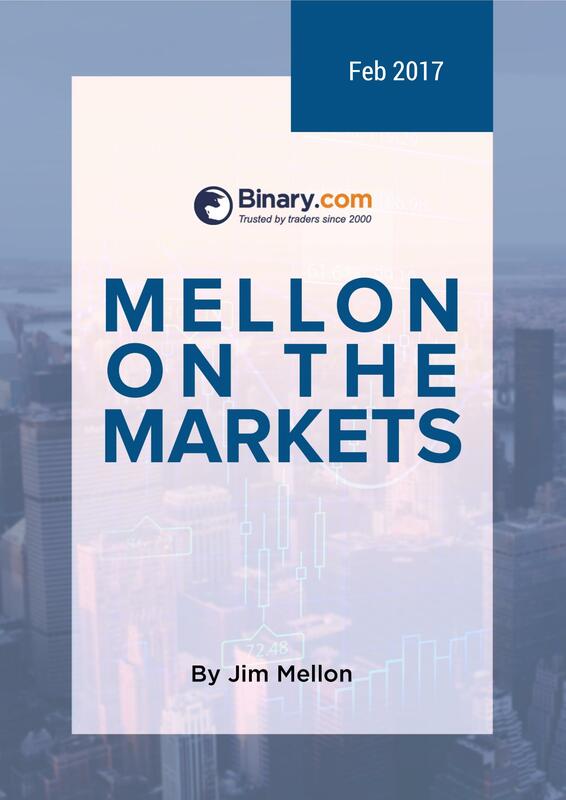 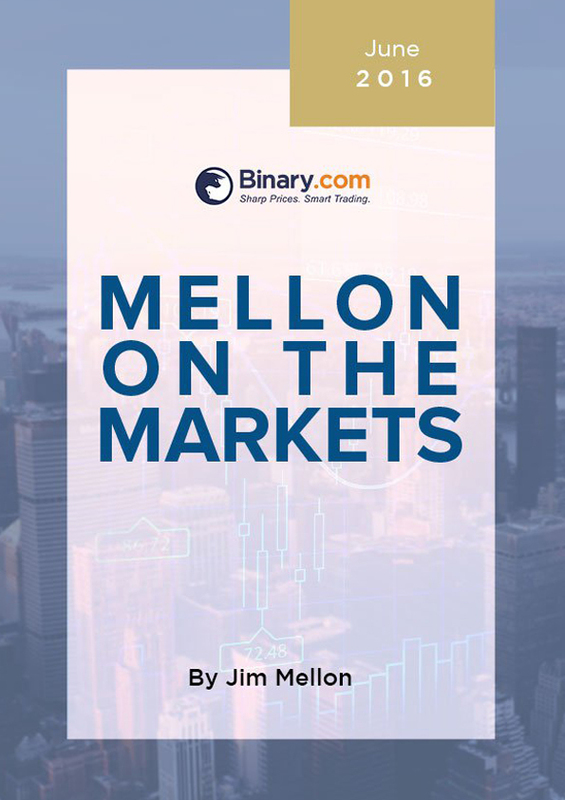 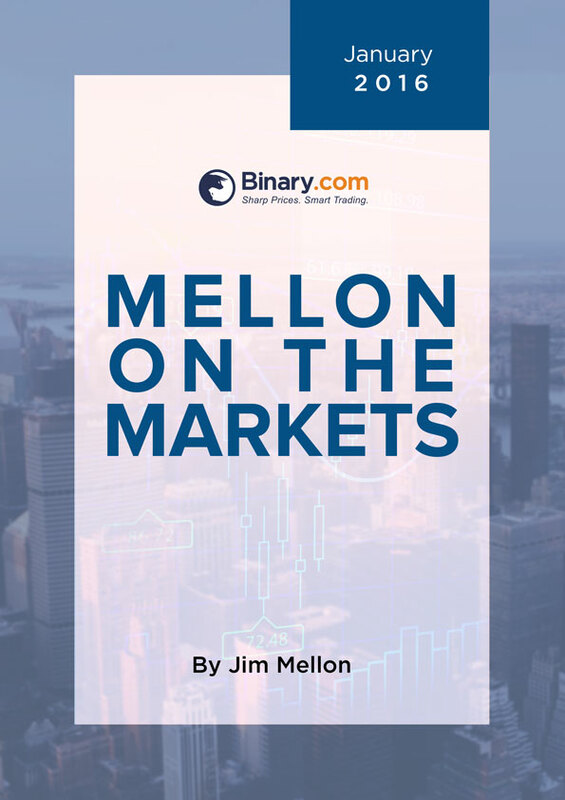 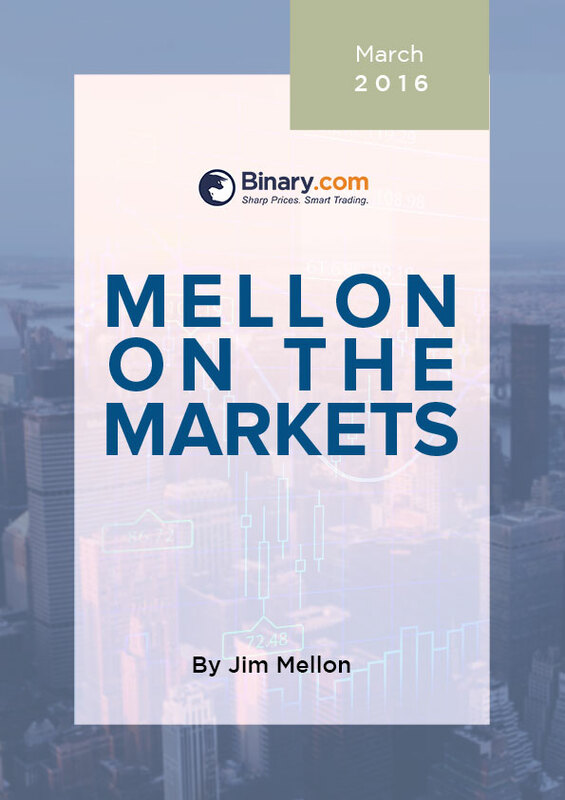 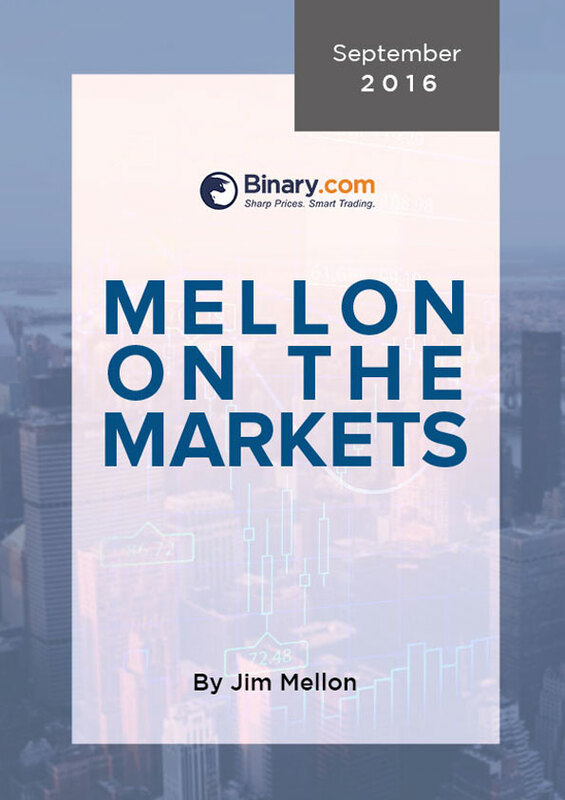 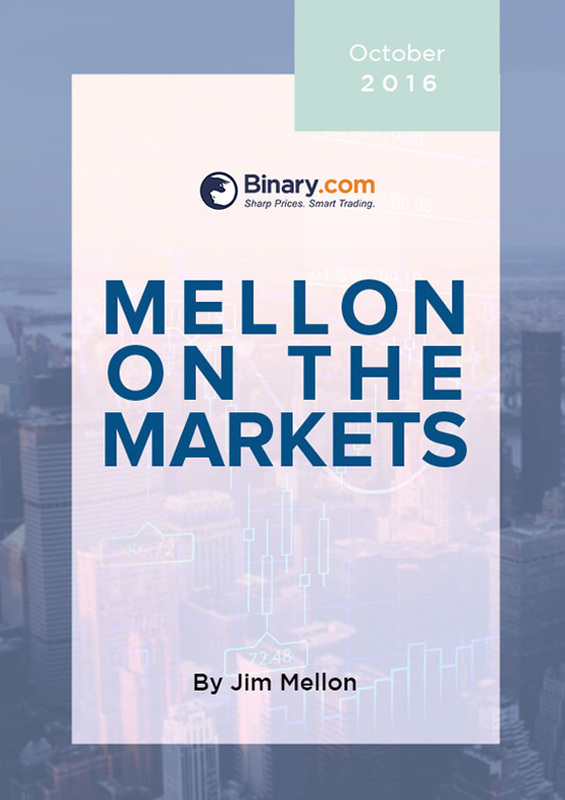 Jim Mellon, a significant co-owner of Binary.com, would like to give Binary.com clients exclusive access to his financial markets commentary, "Mellon on the Markets". If you're looking for ways to improve your trading knowledge or if you simply wish to keep abreast of the latest financial news, then this is the report for you. 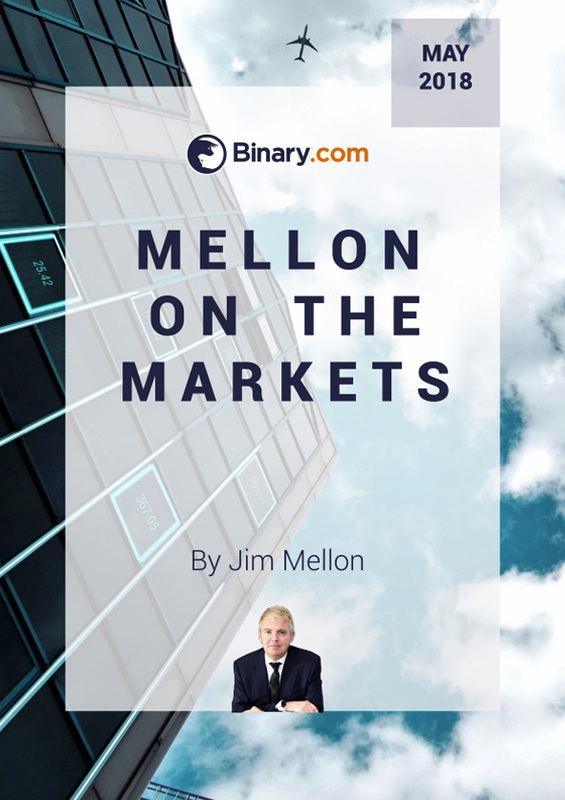 Many are those who would be willing to pay extremely high consulting fees simply to get half an hour with Jim. 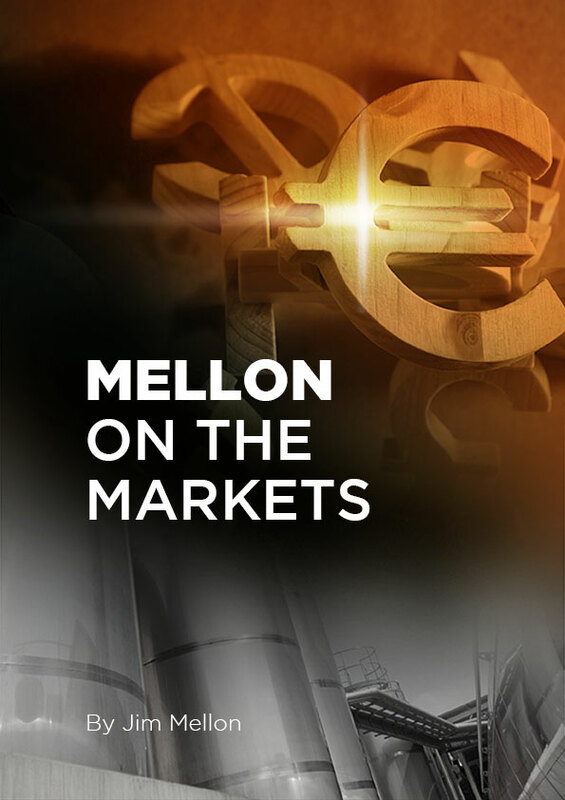 "Mellon on the Markets" is an opportunity for you to get complete coverage on the latest finance, banking and economic news directly from Jim Mellon's trading desk, completely for FREE. 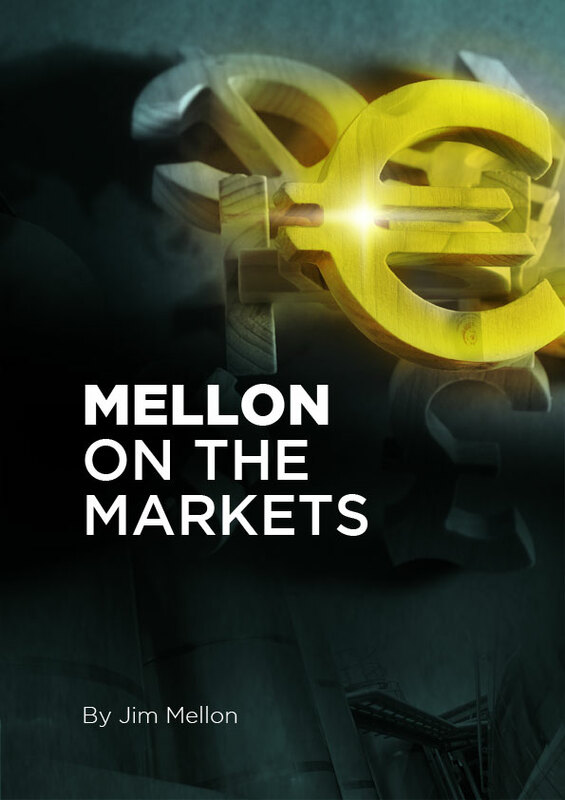 This is definitely an opportunity not to be missed! Disclaimer: Binary.com makes no guarantee or warranty about the claims in these financial reports, and has not independently reviewed the information provided within the financial reports. The views expressed in the reports are those of the authors and do not necessarily reflect the views or position of Binary.com.